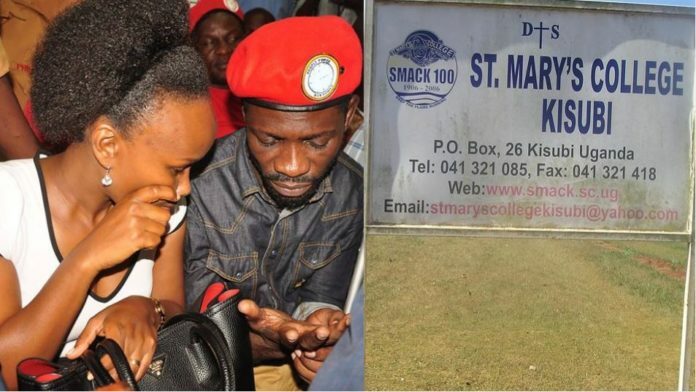 A son to Makerere University Professor, Salmon Mugoda has been dismissed from St Mary’s College Kisubi (SMACK) for allegedly sodomizing Bobi Wine’s son (identity withheld) who studies at the same school. While speaking to a reporter from RedPepper, Professor Mugoda’s son broke down in tears as he narrated how he was framed and forced to write down a false confession. The 13-year-old minor narrated that he and Bobi Wine’s son both shared Kiwanuka dormitory and class (S1) but are in different streams. He added that, word later spread around that he was a homo and by lunchtime everyone was looking at him differently on top of being isolated. He further told us that later in the evening at prep time some students started shouting “Sexiyo” (he also told us this is a slang to mean beating), which prompted him to go and read from outside. ”I could not understand anything and the origin of the whole talk,” he added as his eyes turned red.